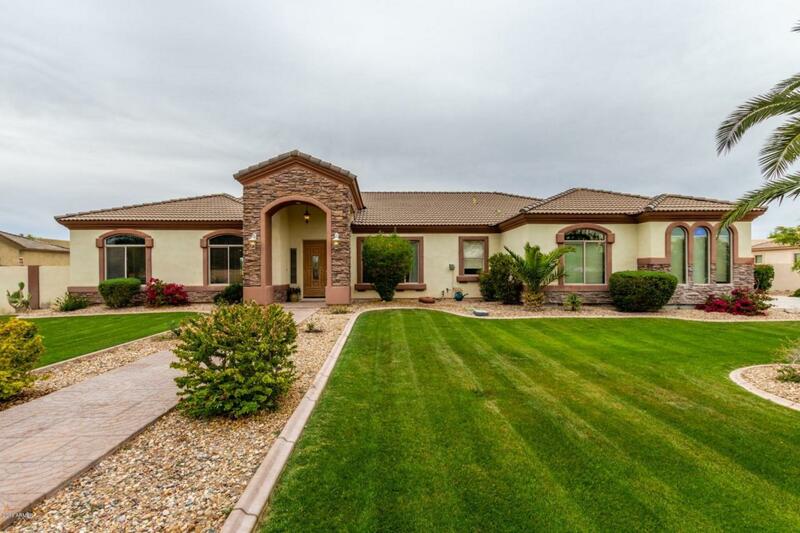 Beautiful Custom 4 bedroom home on an irrigated lot! 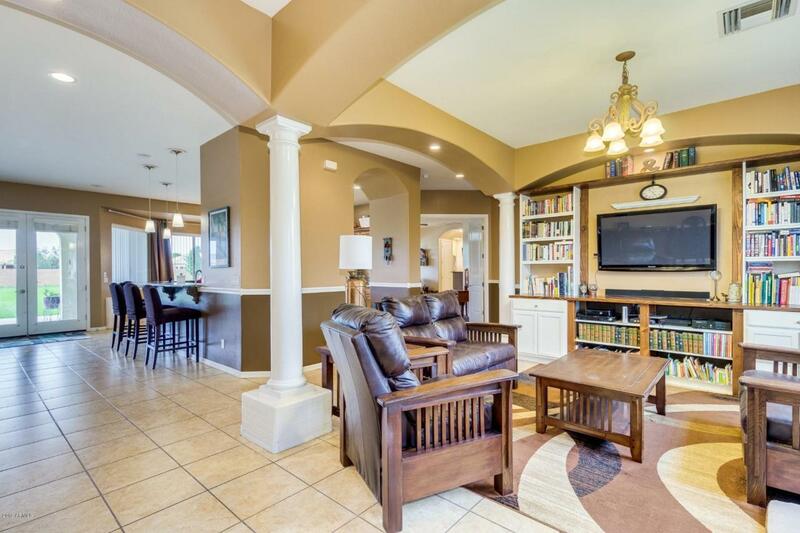 Walk into this home to find white columns in formal dinning area then relax in the living room with gas fire place and custom wood shelves. 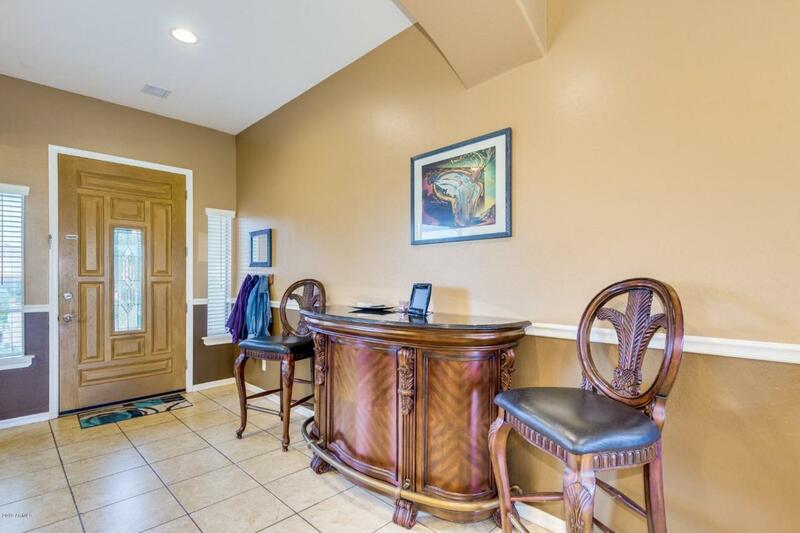 Gourmet kitchen with granite countertops, island and high bar. Upgraded cabinets in kitchen & lots of storage in laundry area too. Tile and carpet throughout this split floorpan beauty. Retreat to master bedroom with separate shower and roman tub surrounded by granite. Lots of closet space in there with his/hers closets as well. Outback there is a large covered patio, built in bbq and misting system. 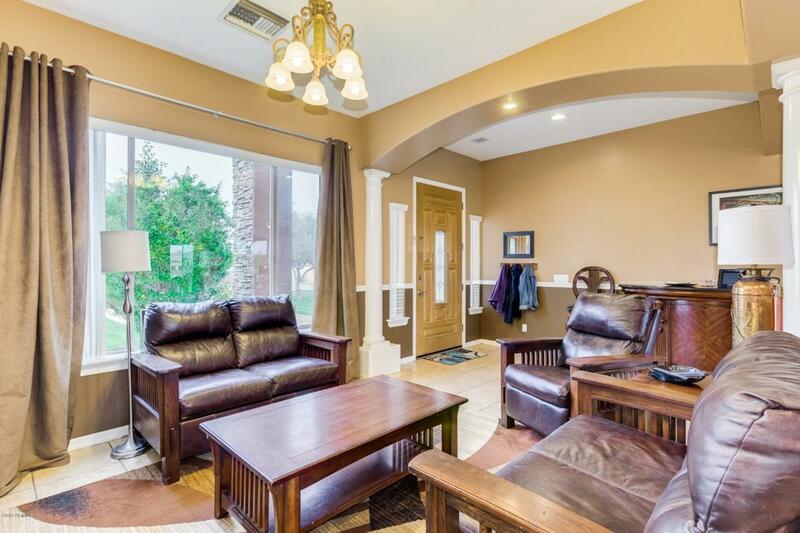 3 car garage, soft water system & don't forget an RV gate for toys! With an acre of fun you will never want to leave!